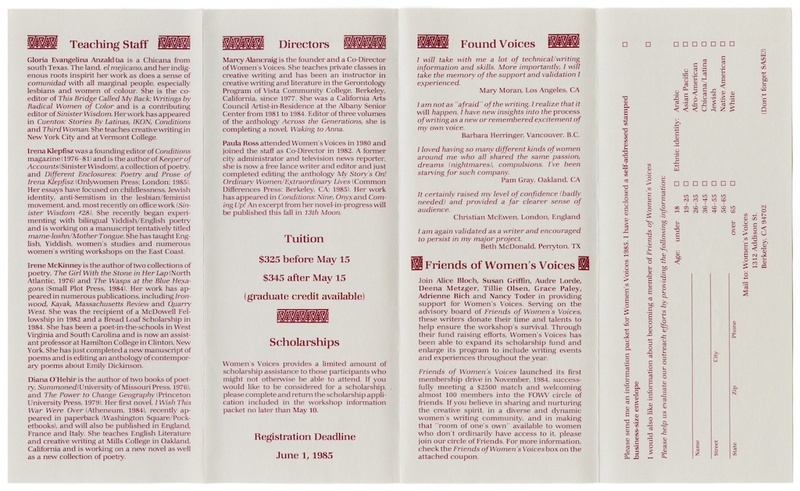 Women's Voices: A Creative Writing Workshop. Brochure. 1983. 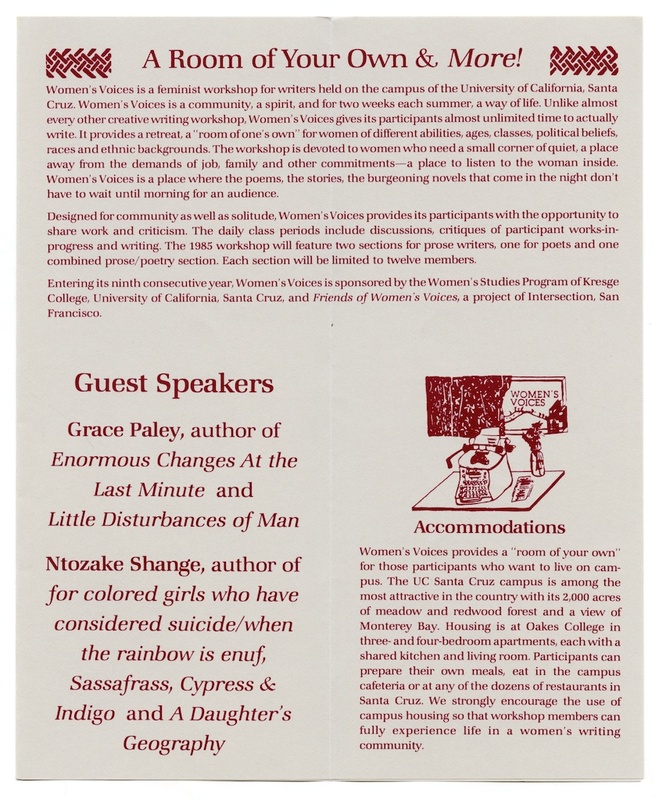 “Women's voices conference,” Digital Exhibits, accessed April 20, 2019, https://exhibits.library.ucsc.edu/items/show/1887.